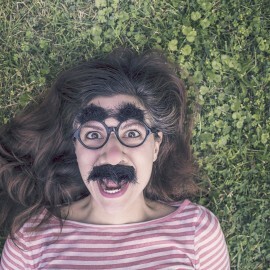 radha marcum | Quirky or Perky: Does Your Newsletter Personality Need Therapy? Is your e-newsletter personality … ? Those quotes from the Dalai Lama get me through my day. But a newsletter can fall WAY too far on the feel-good spectrum — beautiful pictures, juicy quotes, but not enough value or call to action. The fix: Focus on real people, real solutions. a.k.a. Long-Winded Neighbor. This newsletter personality has an overinflated sense of importance or doesn’t understand the fine points of storytelling (e.g. less is more). Are your readers waiting for you to get to the point? Bottom line: Too much text. Period. Expertise is one thing. Presenting tons of information or dry statistics (think: countless housing market stats) can kill the conversation a heartbeat. The fix: Focus on the meaning of those stats and balance them with other storytelling. The biz can’t stop talking about itself. As interesting as your company, your products, your services are, they are not your primary topics for newsletters. This newsletter personality flaw happens when a business doesn’t know its audience (yet) or its real value (where its expertise meets the audience’s needs). The fix: Start focusing on your audience. It’s ONLY about selling, all about deals, all about why the reader should buy more – there is no intrinsic value for the reader in the newsletter itself. (Action: DELETE). The fix: Separate your promotional emails from newsletter emails. (Caveat: Some promotions should be included in regular newsletters, but they should always be secondary to the relationship-building elements). The big takeaway? Understand your audience, treat your newsletter like a conversation with very real people. Because it is. And remember that, in the scope of your marketing plan, newsletters are KEY. These are the people who have gone beyond Hi, who are you? to Yes, let’s keep talking! How you behave after that yes is critical to gaining long-term loyalty. August 22, 8:30 – 10:00 a.m. @ InCahoots Boulder. VIEW EVENT. August 27, 11:30 a.m. – 1:00 p.m. @ InCahoots Boulder. VIEW EVENT.